INDUSTRY.co.id - United States - Boyband chanter 'Fire', Bangtan Boys or BTS again incised their achievements in this March. 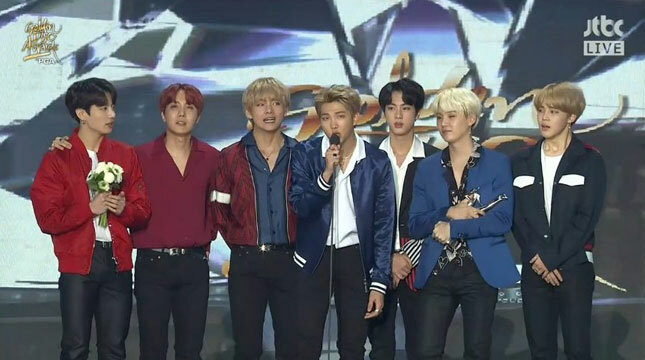 BTS won the Best Boyband award in the iHeartRadio Music Awards 2018 music awards held on Sunday (11/3) yesterday in Inglewood, California. Not only won the Best Boyband category, apparently ARMY, the designation for BTS fans, also won the Best Fan award. ARMY managed to beat EXO-L for EXO boyband. This, making BTS more proud with their fans who have been supporting it all this time. However, BTS can not attend the event, due to their busy schedule. They still thanked through a video uploaded via iHeartRadio's official Twitter. "This is the award given to BTS ARMY that made it happen," said RM BTS. "We are very grateful and love you all," said J-Hope. "You are entitled to all these awards. We are always burdened by your support all the time and around the world. This award signifies the spirit and dedication of BTS ARMY. You are the best ARMY in the world !, "RM added in the 48 second video.